Design, location and consideration for your taste and lifestyle all work together, with equal importance. As a student at Minnetonka High School in the mid-1970s, David Steingas gravitated to shop class, where he quickly became proficient. In 1977 he opened his own cabinetmaking shop out of his garage. Today as the owner of Steiner and Koppelman, Steingas builds upper-end artisan homes—some with price tags as high as $8 million—and he still owns a cabinetmaking firm. As a young cabinetmaker, Steingas was soon discovered by Steiner and Koppleman, located in Deephaven. From 1985 to 1994, Steingas was the main provider of custom cabinets for the high-end homebuilders and then accepted a full time position with the firm as homeowner liaison in 1995. 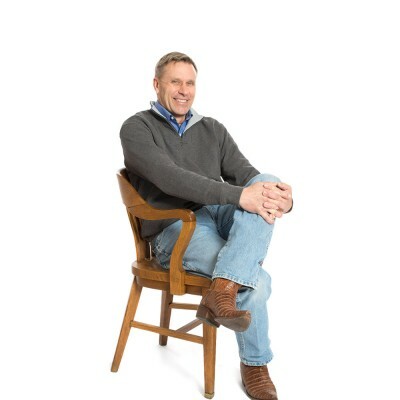 Today he owns and runs both the homebuilding firm and Westwood Cabinets, based in Minnetonka. Combined the two firms employ 18 people, including an in-house architect and eight custom cabinetmakers. Designing a Steiner and Koppleman home can take anywhere between two and six months, depending on whether in-house architectural skills are used or an outside firm is consulted. “The design stage is critical,” says Steingas. “Typically the more time and care you spend in the design phase the easier the construction process.” Steiner and Koppleman also works with Romen Interiors in Eden Prairie on interior as well as some exterior selections. In a typical year, Steingas and his team will build four to eight homes valued between $600,000 and $8 million, focusing primarily on the upper end communities of Orono, Edina, White Bear Lake, Kenwood, and Lake Minnetonka. “Homes in the $1.5 million range are our bread and butter,” he adds. A signature Steiner and Koppleman home is a classic traditional home, brimming with a casual elegance created through the generous use of cabinetry and plenty of millwork. And at the end of each project, just hearing how his work has exceeded his clients’ expectations, deepens Steingas’ passion for his work. Click here visit the Artisan Home Tour Website..